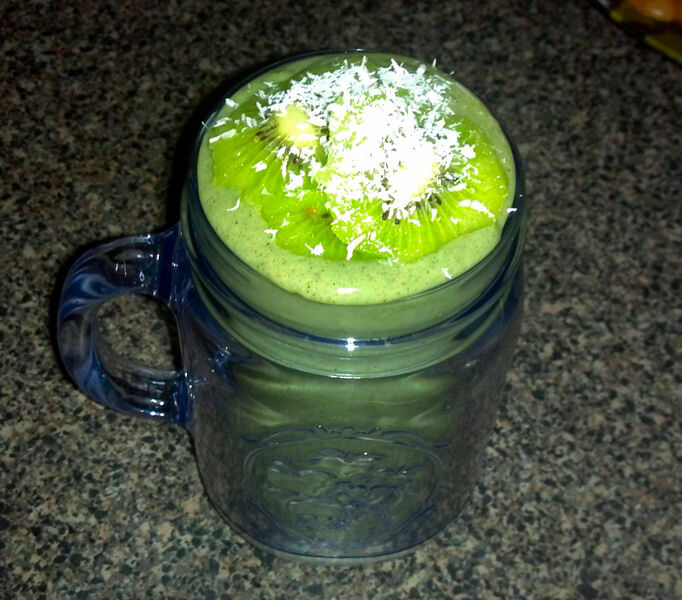 This is a spinoff from a classic green smoothie consisting of spinach and bananas. 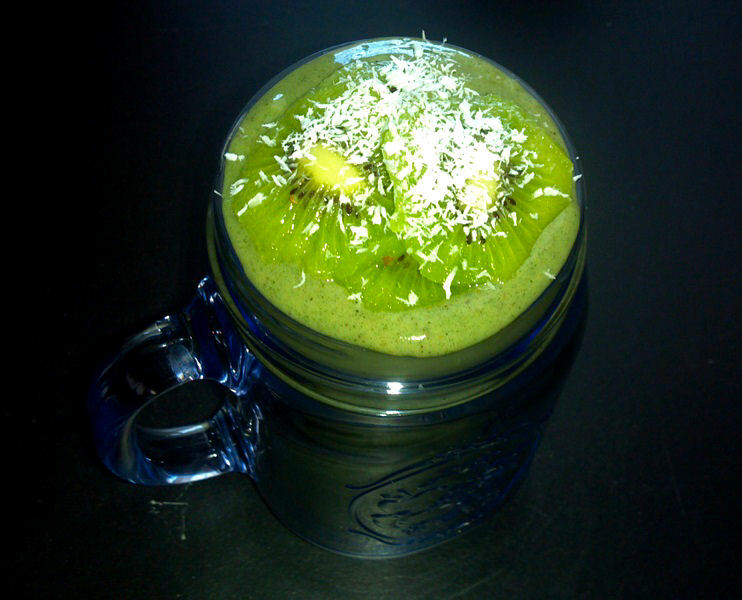 The addition of kiwi, spirulina and wheatgrass along with vegan protein powder also turns this into a power-packed protein smoothie, perfect for a pre or post-workout treat. It is also made with my fabulous homemade walnut milk, which tastes delicious and is sooo simple to do! The protein in the shake is Merrikh Medical Vegan Vanilla protein powder. For more information about Merrikh Medical products such as supplements, protein powders and vitamins, see this link. You will add 1 cup walnuts to 5 cups water. 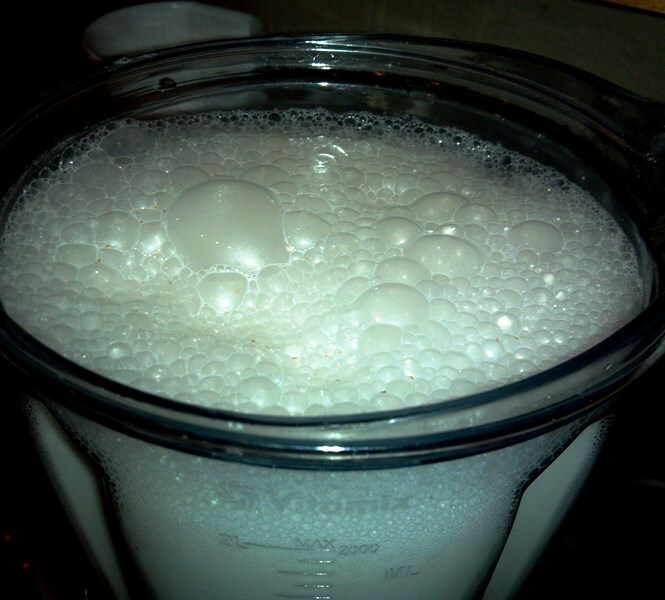 Blend on high speed until the mixture is frothy and milk-like. For a sweeter taste, substitute two or more cups of water with coconut water. It is THE BEST! After the walnut milk is made, empty the extra milk into jars, and throw in the rest of the ingredients. 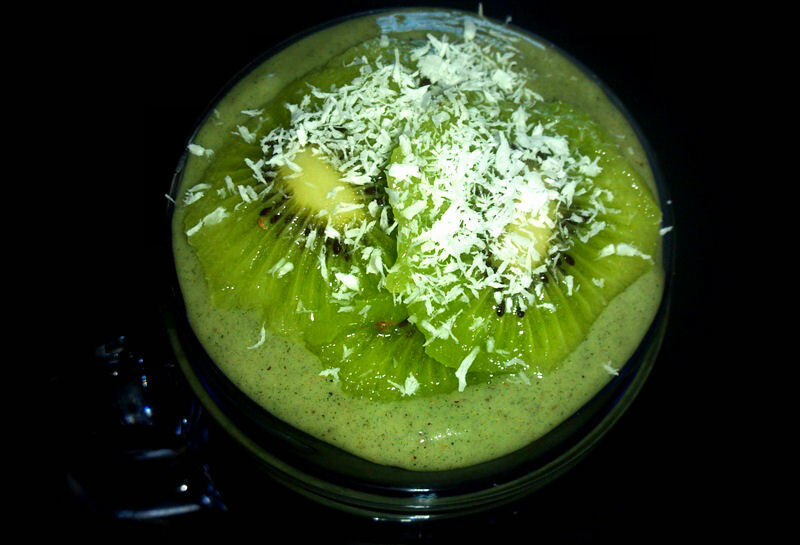 Blend until smooth an creamy, then top with fresh kiwis and shredded coconut, and drink up! It is sooo good! You can also make this into a protein ice-cream, by omitting the water completely and only adding enough walnut milk so that the mixture will fully blend, but have a soft serve ice-cream consistency.